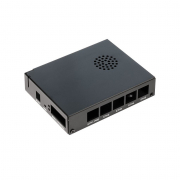 The MikroTik Cloud Router Switch 305 (CRS305) is a sleek, compact, silent running fanless switch that packs a powerful punch. 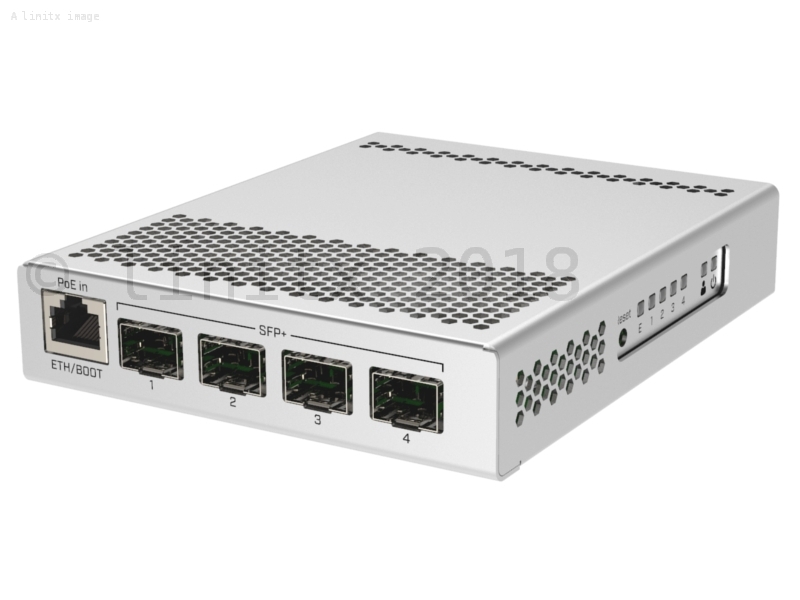 The CRS305-1G-4S+IN features four SFP+ ports, for up to 10 Gbps per port with a 1 Gbps copper Ethernet port for management access. For fail over the 305 comes with two DC jacks. 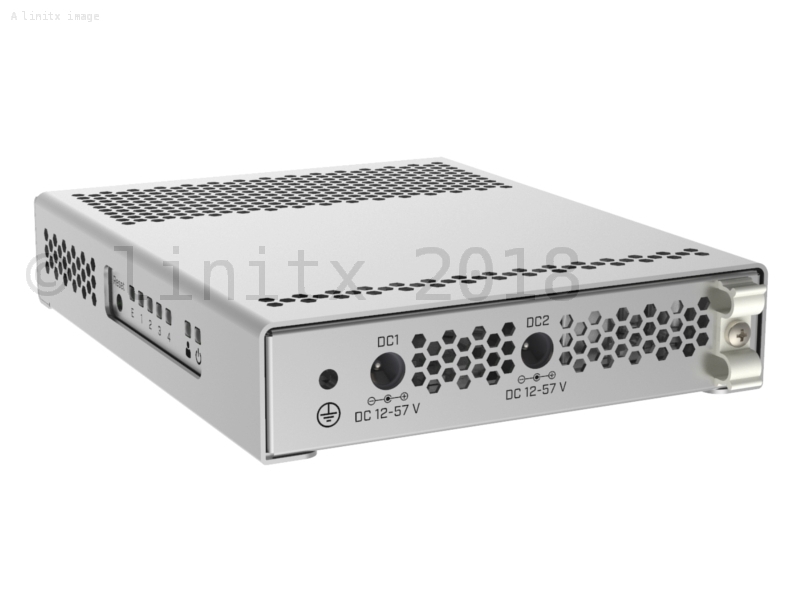 MikroTiks CRS305 has "Dual boot" functionality that allows you to choose your favourite out of two available operating systems - RouterOS(fully featured) or SwOS(designed for switching only). If you prefer a simplified operating system with only switch specific features, use SwOS. If you need the ability to use routing and other Layer 3 features on your CRS, use RouterOS. 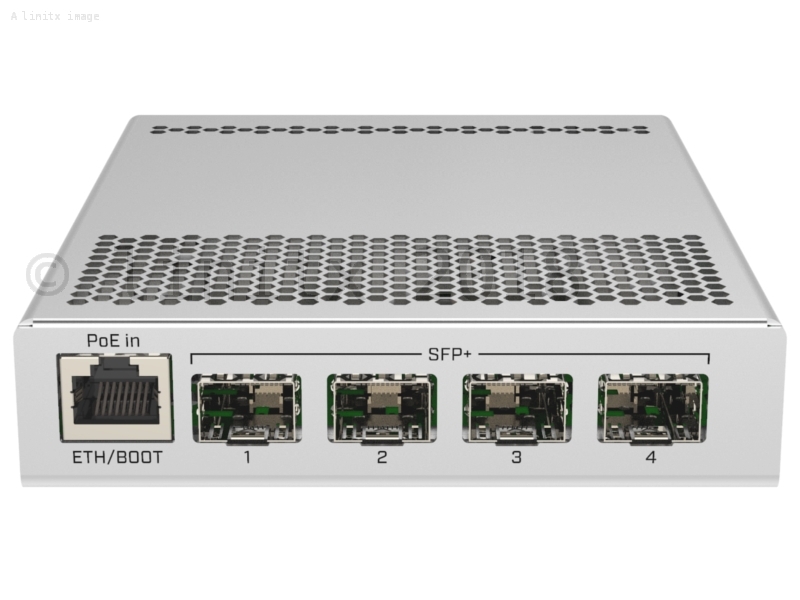 You can select your desired operating system from RouterOS, SwOS or from the RouterBOOT loader settings.